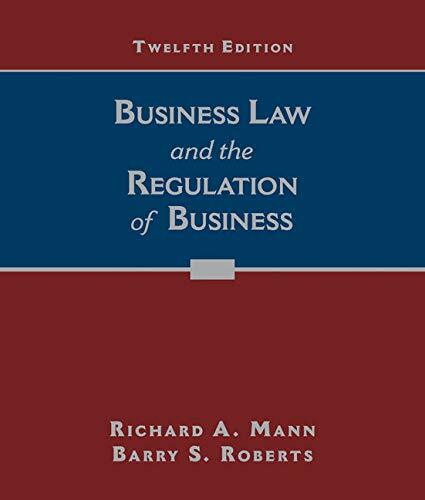 Recognized for accurate, relevant, and straightforward coverage, BUSINESS LAW AND THE REGULATION OF BUSINESS, 12E illustrates how legal concepts apply to today’s common business situations. The book’s comprehensive, yet succinct, approach provides the depth of coverage ideal for business success and CPA exam preparation without technical jargon. The text includes both landmark and recent cases with the facts and decision summarized for clarity, while the opinion is carefully edited to preserve the language of the court. More than 220 classroom-tested figures, tables, diagrams, concept reviews, and chapter summaries clarify concepts. To enhance readability, legal terms are clearly defined, explained, and illustrated. 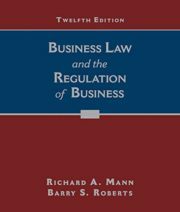 In addition, each chapter is carefully organized and enriched by illustrative hypothetical and case examples that relate the material to real-life experiences. Numerous critical-thinking features further challenge and strengthen your analytical skills.